Gone are the days when your clean laundry sits, neglected, in a basket as you plod through it until it’s time to put in your next load of laundry. Folding may be the worst part of organizing your house, but it doesn’t have to be anymore. 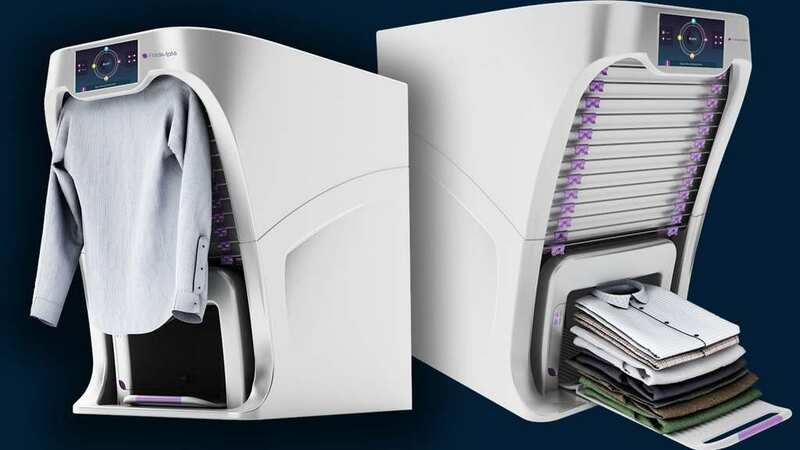 That’s where the FoldiMate comes in, a large, laundry folding robot who will help you to streamline your organizational needs. In a promotional video released by the company recently, they claim that the robot will be able to fold an average load of laundry in four minutes. According to the video demonstration, you will still have to stand at the machine loading each article of clothing into the feeder one by one. When working as intended, the feeder will then drop the folded clothing onto a pile below. On its own, the prototype almost appears to be a large, commercial printer, except instead of spitting out inked up paper, it takes care of your chores for you. 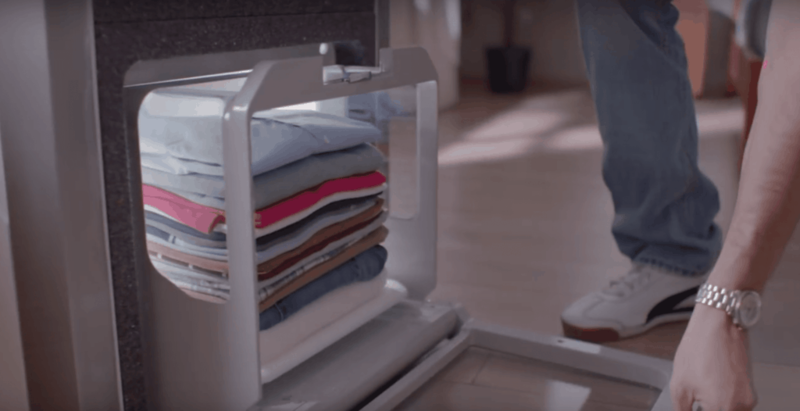 It’s possible that as the FoldiMate gets refined, it will eventually take up less space, but at this juncture, the folding robot is almost as large as a washing machine itself, making it less than practical for those living in smaller spaces. The robot is designed to handle a variety of your laundry needs in various sizes, which makes it particularly useful if you have small children whose cloths need to be washed often. FoldiMate is also capable of handling household linens, however, it still doesn’t have the capacity to fold underwear and socks, which means you’ll still have to fold those by hand. As it stands, the FoldiMate may be better served in a commercial laundry facility, especially given that it costs $1000 to purchase. If you just have to have one though, it’s possible to pre-order the FoldiMate while we wait for the robot to be released.